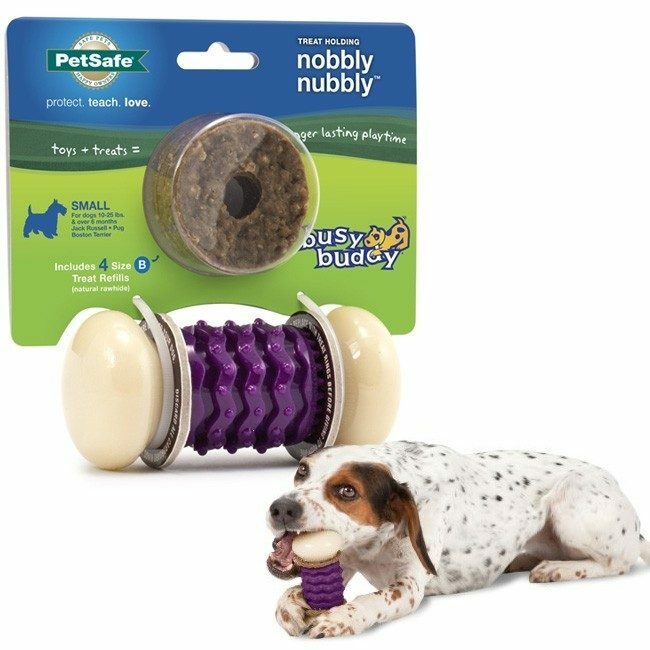 PetSafe Busy Buddy Nobbly Nubbly Dog Toy Only $4.99 Plus FREE Shipping! You are here: Home / Great Deals / PetSafe Busy Buddy Nobbly Nubbly Dog Toy Only $4.99 Plus FREE Shipping! The Nobbly Nubbly is a durable treat holding chew toy for dogs! The PetSafe Busy Buddy Nobbly Nubbly Dog Toy is Only $4.99 Plus FREE Shipping and has compressible textured center and nylon ends.